It's soon becoming that time of the year again where we find ourselves donning those floral head crowns and pulling on the ol' wellington boots. Whether your going to enjoy the music or (also) to see/embrace festival fashion, that Coachella made us envy. Packing can be one of the 'trickiest' aspects to cover from what clothes to take to how many lipsticks does a girl need for 3 days?! 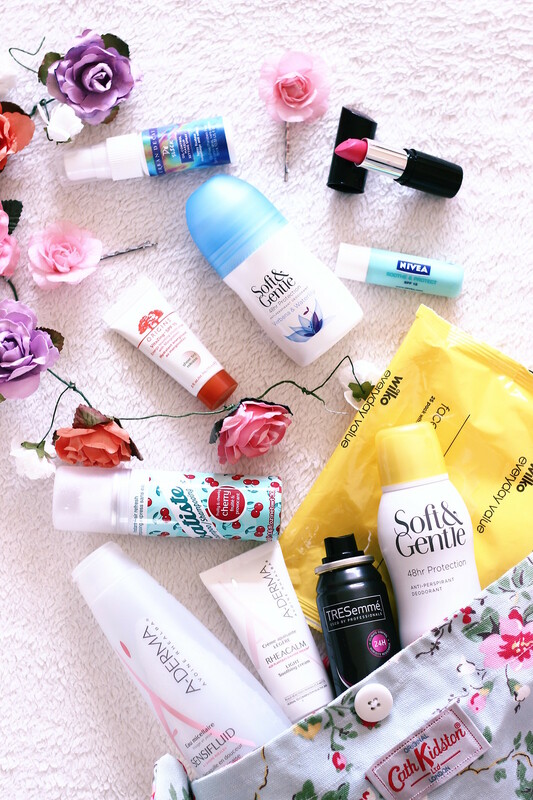 So to help cover the beauty side, I've compiled a collection of products that are both fuss-free and easy to use. Making the 'festival experience' that much more enjoyable. One product which isn't featured is that all important suncream, because (lets face it) no one wants to be walking around looking like a 'lobster' for the weekend. This nifty product can be used to take off both your eye and face make-up, so you needn't take a separate eye-make-up remover to do the job. Making it easy to use when you've been dancing to your favourite band till the early hours. The no-rinse, gentle cleansing formula makes your skin feel decongested and seriously soft, due to containing ingredients like 'Witch Hazel' and 'Rhealba Oat' extract. Just apply to a cotton pad and simply swipe all over your face. To cleanse and remove the make-up and dirt, from day, leaving a beautifully cleansed face for some much needed rest. If you don't fancy carry around the full size bottle, why not decant as much as you need into one of those travel bottles, to make packing lighter. No festival beauty kit is complete without a travel size dry shampoo. Batiste are a brand known for their iconic dry shampoos, with scents and formulas to suit everyones tastes and hair preferences. Spritz a tad of this to your roots to freshen up your hair but also add texture and volume. At £1.99 you can't really go wrong. If there's one hair product I can't live out, it has to be the classic hairspray. The ultimate multi-tasker in my eyes. From taming unruly manes to holding "the do" in place, as well as adding texture- hello "beachy waves". This product can save you from those bad hair days, so you can just sit back and enjoy the music. Festivals can get hot and sticky, with water not always being easy reachable. Just remember wipes are your friends, that can save you from numerous situations. 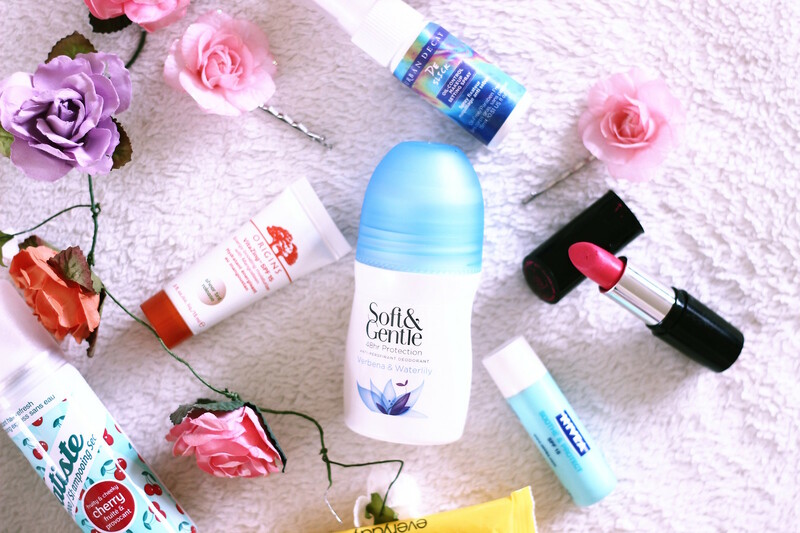 Without saying deodorant is an obvious must for anyone. Soft & Gentle have just re-launched their loyal anti-perspiant deodorants, with an exciting, revitalised range. The scent smells amazing, whether you prefer something citrus and fruity- Orange Blossom & Grapefruit. Or something lighter and floral like Verbena and Waterlily. Long lasting 48hour protection, free from white/yellow marks which is super kind to your skin. What more could you ask for? Once you've taken off your make-up, I always like to use a face cream to hydrate and calm down my skin. Especially if you've been in the sun all day. This product can soothe and cool your skin down instantly. I also find it works well as a base for my foundation as there's no left-over residue in addition to making my make-up apply more seamlessly. When comes to your make up base to start the day, I'm always on the hunt for a product that does it all- laziness maybe? A product that moisturises with a adding a tint of coverage. The OriginsVitaZing does just that. Applied as a white cream that magically releases a 'sheer tint', that adds a healthy glow (and protects) one's skin. Or if this product is slightly out your budget try the Maybelline Foundation Dream Pure BB Cream, priced at £6.99. It adds slightly more coverage, contains SPF 15 and works well for oily skin types. As a oily skin gal I am forever on the look out for that 'miracle product' that keeps the shine at bay, all day- no pun intended. As well as also keeping my make-up from sliding off my face, because lets face it: hot (sweaty) tent + made-up face = make-up meltdown. Not a good look. Another thing I love to do is spray it all over my face, throughout the day, to keep it looking 'revitalised' and 'fresh'. It also acts as an instant 'cool-down'. Another must to keep your lips from drying out if the sun is shining, and being a budget buy it doesn't break the bank either. When it comes to make-up you don't really want to be nestled away for hours in your tent applying it, instead of enjoying the music and atmosphere. That's where this lipstick comes in. A gorgeous hot pink shade, that's long-lasting, extremely pigmented and can be applied in a matter of seconds. Did I mention it's only £2.99!! Bright lipstick is your answer to looking like you've made an 'effort', when really only a few seconds were spared. You could also add a dab to your cheeks, if you don't fancy bringing a blusher. A sneaky multi-tasker! 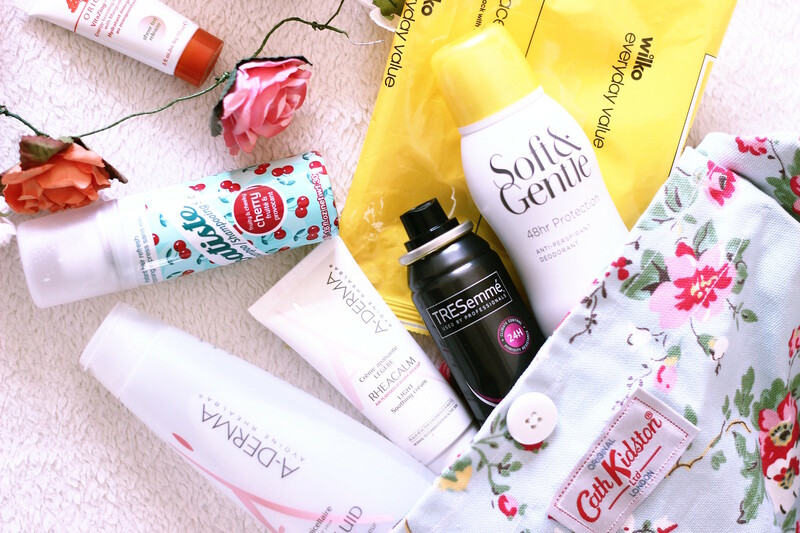 Whether you're going to Glastonbury or a local music festival, let me know what your must-haves are- as I would love to know!